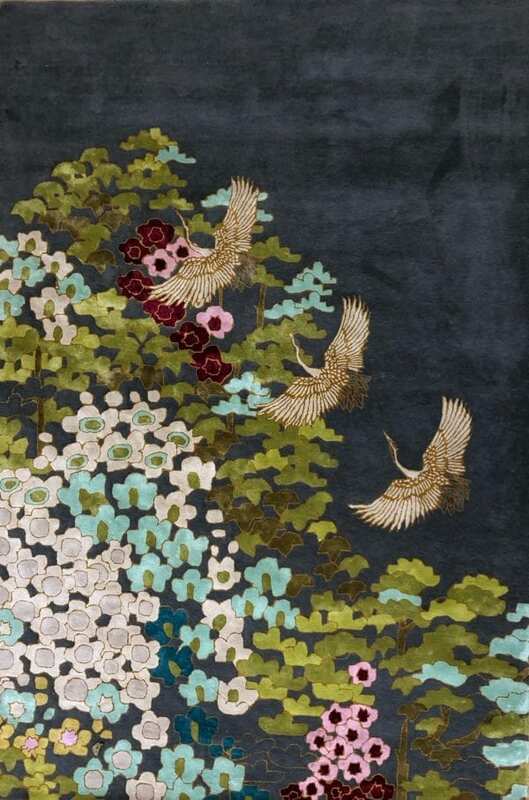 Oriental inspired multi-colour florals highlighted with golden viscose on a black background. A rich and textured rug, with vibrant colours. Beautiful, bold and graphic. A real statement rug. Mount Orient was inspired by Japanese artwork, most of all their appreciation and love of nature and their use of beautiful colours.